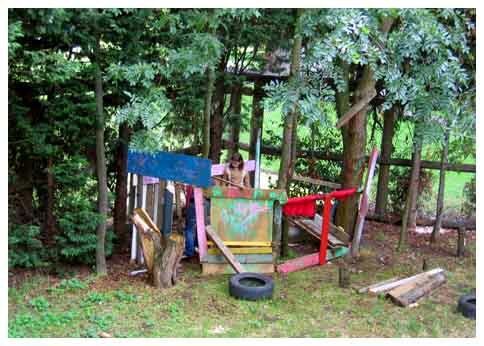 Children made this den using hammers and other tools. "There is... a thoroughly robust attitude to the risk taking activities of all the children... The children play together all over the site."